With more than 775 million people over the age of 15 who are illiterate, one of Rotary's six areas of focus is support of Basic Education and Literacy. Rotary's goal is to strengthen the capacity of communities to support basic education and literacy, reduce gender disparity in education, and increase adult literacy. Among the various ways Rotary supports education is teacher training, by sharing knowledge and experience with educators and other professionals who work with vulnerable populations. 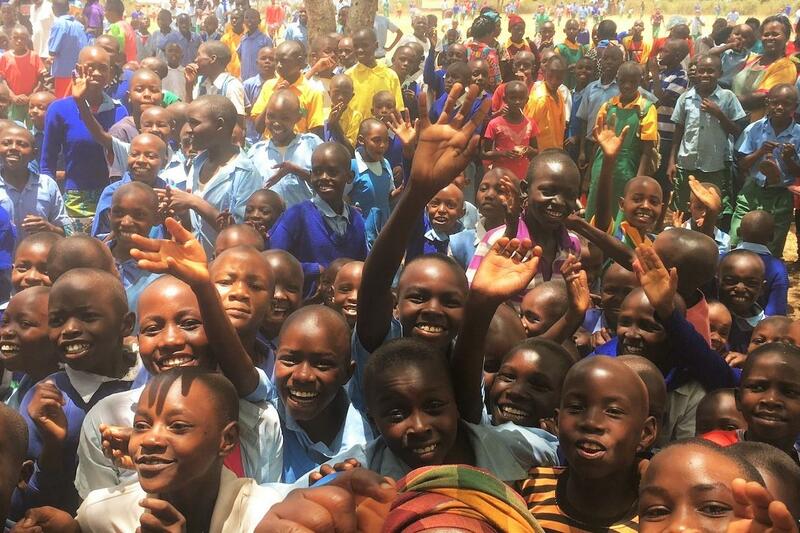 Another way, related to the Rotary District 5040 Vocational Training Team is mentoring and coaching teachers because getting children into school isn’t enough. RACHEL-Plus is a server which connects offline learners to the world's knowledge in over 40 countries worldwide. 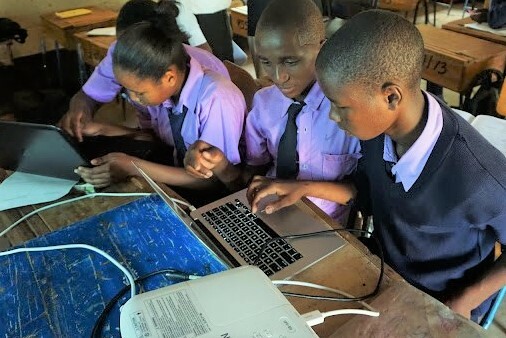 It is designed for use in schools, community centers, health centers, or places of learning worldwide where internet access does not exist or is limited. Past District 5040 Governor John Anderson, a former School Superintendent, led a Rotary team which recruited through many BC communities six secondary school teachers to form Rotary District 5040’s Vocational Training Team (VTT). The team included Kristina Willing and Helen Erickson, from Smithers Secondary School, School District 54, Tu Loan Trieu, from Ecole Glenbrook Middle School, New Westminster, in School District 40, Jason Chow, from Richmond Secondary School in School District 38, Tom Morley, from RC Palmer Secondary School, Richmond, in School District 38, and Andy Beadon, from St. Thomas More Collegiate, in Burnaby. The BC team, chosen for its strength in using technology in everyday teaching, planned for the VTT visit to Kenya months in advance. 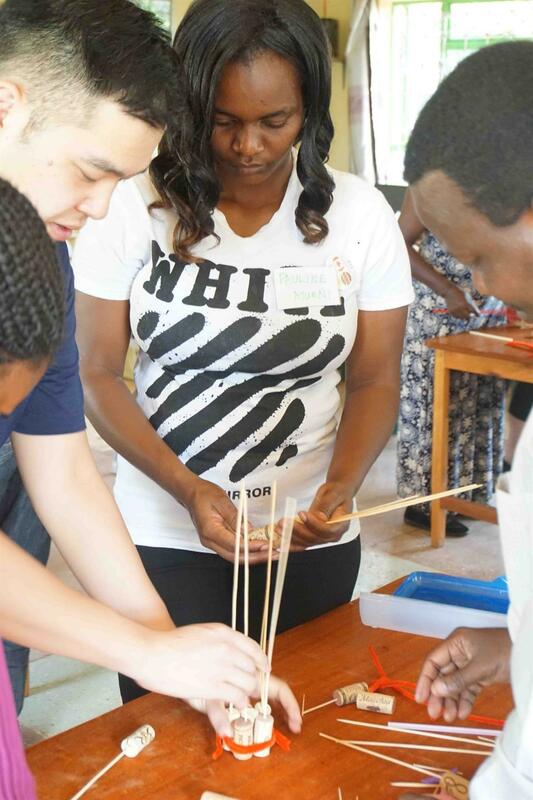 The team members knew that their workshop material and teaching approach would have to change once they started visiting classrooms, sharing resources and understanding more clearly the needs of their Kenyan colleagues. The VTT was funded through an international Global Grant from The Rotary Foundation, 31 clubs in Rotary District 5040 and supported by the Government of Canada. 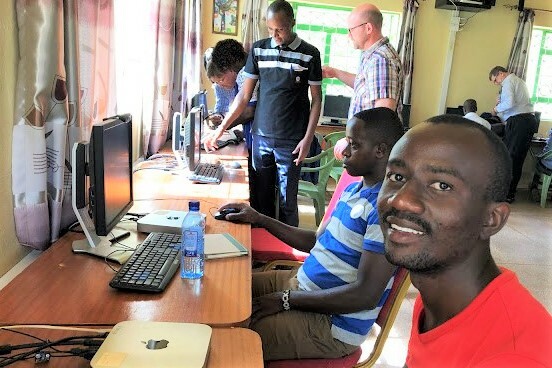 “We are grateful to Team VTT for bringing exceptional professional development to our teachers and for generously sharing their talents with us,” says Sharon Runge, Executive Director of Kenya Connect, which supports education in rural Kenya so that students and teachers in rural Kenya to succeed in the 21st Century. South Eastern Kenya University’s Dean of Education, Dr Jonathan Mwania, committed the University to sustaining the goals of the VTT. He said this project provided positive steps in implementing the new Kenyan Curriculum and changing the way teachers and students work together. The team held four workshops over the two-week period, focused on improving instruction for digital literacy and implementing the 4 Cs of 21st Century Learning. The aim was to provide a common language and an understanding of the concepts to bring about instructional change. Teachers spent time in the classroom team teaching and demonstrating some of the techniques they had introduced in the workshops. At the end of the second week the VTT transferred the technology it had been using in the workshops: each of the four schools gratefully received two lap top computers, a projector and two Rachel Plus machines. 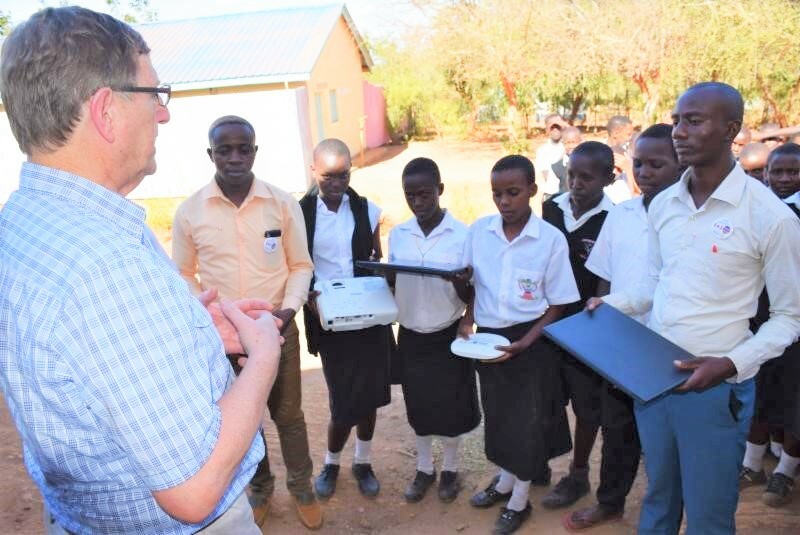 It soon became apparent that the Kenyan teachers and their students wanted plenty of hands on time at the computers and in exploring the content on the new Rachel Plus devices which allowed access a great deal of resource material without requiring an internet connection. The VTT had been told to expect a warm reception at the four schools visit, according to Smithers, BC teacher Kristina Willing, but nothing could have prepared the team for the wildly enthusiastic welcome received at Kikaso School. She said hundreds of smiling, waving children singing and dancing milled around the team’s bus as it drove in. 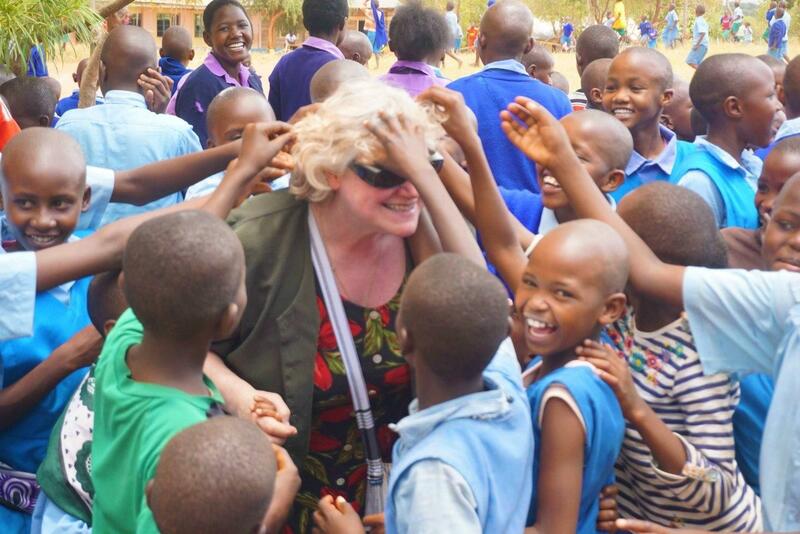 In November 2019, a group of Kenyan teachers will visit BC to see how our schools operate and continue the exchange with their Canadian colleagues.